Can telcos stay on top in the era of over-the-top players? Telecoms.com periodically invites third parties to share their views on the industry’s most pressing issues. In this piece Deepak Moudgil, Global Head, Go-To-Market, Enterprise Business, Digital Operations and Platforms at Wipro takes a look at the current and future competitive environment between telcos and OTTs. The Groupe Spéciale Mobile Association (GSMA) estimated in its recent report that the telecoms industry will be worth a massive USD 3.7 trillion by 2020. With this, telecommunications continues to be a critical force for growth, innovation and disruption across multiple industries. Also, with “smart” being the new “green”, Telcos are fundamental to building the new-age civilisation of Smart Cities as they hold the core competency of facilitating connectivity. With the telecoms industry playing a pivotal role in facilitating IP services, rise of IoT is pushing this industry to gear up to handle higher volumes of data. Today, over nine in ten Americans use the Internet according to Pew Research Centre, which is characterised by high levels of smartphone ownership and access to high-speed broadband. Telcos cannot afford to ignore the always-online generation – 32% of the world’s population that falls under the age of 25. Dominance of this generation is fuelling digital disruption in the telecoms sector. According to research conducted by McKinsey in January 2017, on average, this generation spends about 315 minutes online every day. One can only imagine the volume of digitised data streaming over telecom networks across the world! While digital disruption pushes telecom to change the value proposition of its current offerings, the industry continues to battle pain points like commoditisation of services, bandwidth issues, falling Average Revenue per User (APRU) and poor IT infrastructure. These issues have undermined capacity of telecom companies to fully embrace the digital disruption. This also means that telcos have not been able to monetise most of the digitised data running over their networks. This scenario has made the telecoms sector vulnerable to the competition posed by future-ready digital entities like Over-the-Top (OTT) players. OTT players offer a wide array of digital content, and broadcasting and streaming services to consumers over the web. These players have also increased their dominance in former core telecoms services like text messages and voice calls. OTT players not only enjoy about 80% of all messaging traffic, but also account for major international voice traffic minutes. Besides an easy user interface and low-cost connectivity, a major reason for the rise of OTT players is its acceptance by the always-online generation. This has led to a sharp dip in traditional, cost-heavy analogue voice and text services and an upsurge in usage of services provided over the web. With this, OTT players have taken a huge chunk of telecom’s market share, decreasing its revenue and diluting its value proposition. Telcos are left with no choice but to adapt. To reap the benefits of a promising future, telecom operators need to upgrade their IT infrastructure and expand their operations, which may result in high CAPEX investments. Therefore, it is time for telcos to hit the bullseye by driving cost-effective growth strategies to win over OTT players. Simplify to amplify: Telecom operators need to think from a customer’s perspective in order to offer them superior service delivery. This requires narrowing the transformation-inhibiting gap between telcos and its customers by disrupting orthodox practices and flattening complex organisational hierarchies. Doing so will not only help telcos become agile, but also induce a desired cultural change by stimulating an innovative and open culture of efficiency that accelerates growth while cutting down operating costs. Time to be nimble: Organisational agility comes from removing redundant platforms, automating core processes and consolidating intersecting capabilities. Thus, making future-proof IT infrastructure begins with standardising and automating core processes using Lean and Six Sigma, followed by digitisation of back-office services and, finally, by providing digital customer engagement for superior, yet cost-effective, customer experience. Once the core processes are leaner, telcos can avail services of a Managed Services Provider (MSP) in some areas to amplify the benefits of domain expertise and cost leadership. 5G to save the day: Telcos must collaborate with large global technology suppliers to manage their network upgrades and IT infrastructure, which is currently resulting in bandwidth-sharing issues among various telcos. While the technological landscape is still developing in this sector, major telecoms players are already dedicated to rolling out the 5G network – a critical component to fend off competition from OTT players. In fact, the rise of the 5G network has sparked an enormous wave of change in the telecoms sector since 2017, which continues to gather pace. Future-ready IT infrastructure and strong networks will enable telcos to monetise almost all digitised data that streams over its network. It will also enable telcos to provide services that are at par with OTT. Thrive with ancillary business: Telcos are also reaping revenues from businesses related to financial services, media, IT services, etc. With Telecoms being at the forefront for driving the digital wave in every sector, they have a competitive advantage over traditional players in other sectors. However, to succeed in vast business lines, telcos must have a clear positioning, strong USP, future-ready infrastructure, and of course, cutting-edge technology. AI is the reality: OTTs are delivering AI enabled services at a pace that telcos cannot match. But, as telcos drive interaction between media and IT industries, it stands to benefit most from radical technologies like AI. Analysis of offer conversion rates, content usage trends and network activity through AI will help telcos push more customised offers to their subscribers, just when they need it. Further, predictive analytics will help improve telco’s business and network capabilities with insights on consumer behaviour. Glorify your value proposition: There’s no doubt that value proposition of analogue telcos in the digital era will change. However, telcos can use their legacy to gain a competitive edge against OTT players. For this, telcos need to emphasise the strong customer relationship built over years through their brand values and tenets. No doubt, OTT is currently a big trend that has influenced customer’s connectivity behaviour patterns making it imperative for the telecoms industry to embrace digital transformation before it is too late. However, with the rollout of 5G, which will be the connective tissue for the Internet of Things (IoT), AI, and smart cities, the telecommunication industry is just a click away to win over OTT players. Deepak is an accomplished IT/ITeS professional, with over 20 years of international and diverse industry exposure. 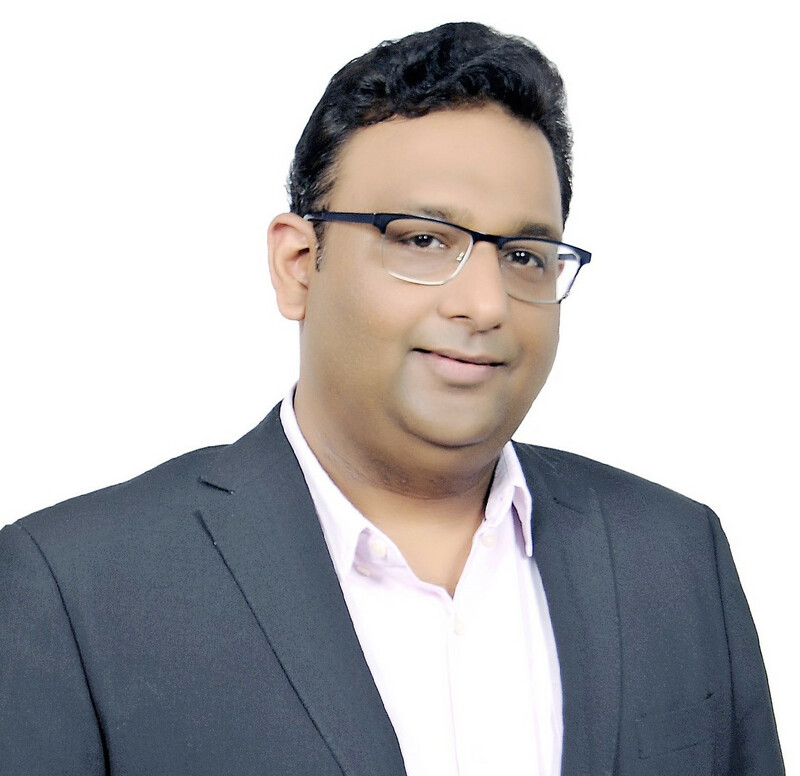 Deepak has expertise in telecom operations, platform and processes (order to activate, assurance, billing and revenue management), providing business enterprise transformation solutions (simplification, automation, intelligence and immersive experience) specifically focused on communications service providers.